As August moves along and thoughts turn to all the things I want to do while some summer remains, I am thinking about how cool it would be to go to summer camp. I have seen places that recreate the summer camp experience for adults and families, however none of them ever seemed right for me. I am looking for the sort of thing that allows you to get away from the real world and spend a week or so focused on learning or doing something you enjoy. Anyway, I just found out about the John C. Campbell Folk School in North Carolina and I am definitely intrigued. Not a camp per se, it is definitely a summer camp-like environment where you live for a period of time and sleep in dorms and eat meals with your fellow students. But the best part is you can take a class in a creative area of your interest, from basket-making, to writing, to all sorts of arts and crafts – much more than popsicle stick birdhouses and jersey loop potholders I am sure. I am thinking this may be just the right thing for me for next spring. 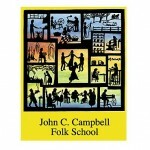 See more about the John C. Campbell Folk School here. There is nothing like the sight of heavy construction equipment to turn a grown man into a little boy. 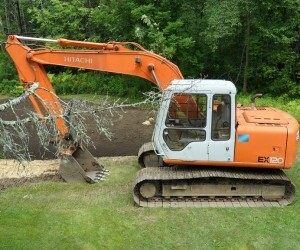 You can imagine how excited I was to see this baby show up in the back yard of the New Hampshire manor the other day. We are having a little excavation done to smooth out some bumpy patches in the yard. It has been fun watching the workers use this thing with such ease, and even more fun to go out to look at it when it is just sitting there after hours. It was great to have this work going on during my Dad’s visit to the house last week. It was his first time up to see the place since last summer so I was excited for him to see the place alive again and provide him a chance to still be involved with managing the property. Seeing this machine in the yard, I was reminded of my favorite book when I was a kid: Mike Mulligan and His Steam Shovel by V. Lee Burton. For some reason I related to this simple story (and surprise ending) and begged anyone and everyone to read it to me. 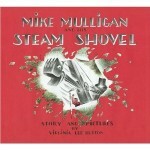 I have been visiting various book sales this summer at local church fairs and library fundraisers. Most of the time I am looking for old travel books about places I’ve been or vintage novels with cool cover art. But now I am going to make a point of checking out the children’s titles to see if I can find a copy or two of this book so I can feel like a little boy any time I want. Here’s to those positive things from our past that can be conjured up just from seeing something in our everyday lives. Lost Cowboy is powered by	WordPress 5.0.4 and delivered to you in 0.867 seconds using 42 queries.